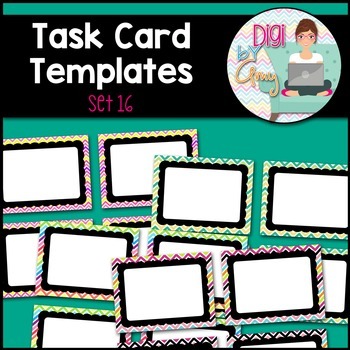 You will receive 20 task card templates. 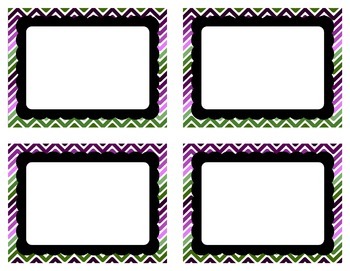 There are four frames per 8.5 X 11 page. Files are provided in .png images only (so they have a clear background) and 300 dpi. 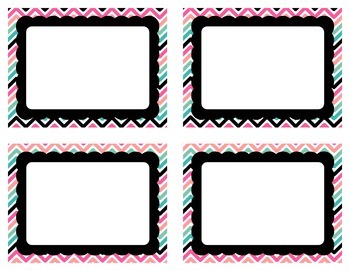 The cut lines are a separate png file. Just layer the two right on top of each other. 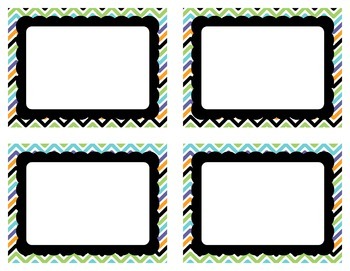 These task card temples come with a large black scalloped frame and chevron background paper. The papers come from my CHEVRON 4 and CHEVRON 5 paper packs.